With firmware updates, Android and OS upgrades and other advancements, the world’s most popular chat applications – WhatsApp, Facebook Messenger, LINE, WeChat and more – release new versions on a seemingly constant basis. This makes staying up to date extremely difficult for all software providers, including FlexiSPY. However, we have developed two alternative features – Keylogger and Application Screenshot – to ensure you never have to worry about missing out on important information. How Can FlexiSPY Help If It’s Not Compatible? We know it sounds confusing, but let us clarify. Firstly, there are cases where a chat application is updated and FlexiSPY is still able to capture its information. However, until our team has fully tested every aspect of a supported IM application, we cannot guarantee that every feature of the chat program will work properly. It is only after a careful testing process that we release updated compatibility information for a specific application. Currently available for iPhone users, Application Screenshots for iOS is a free feature for PREMIUM and EXTREME customers. This powerful monitoring function remotely snaps screenshots of an app in use and uploads the images to your user portal. You can set which applications to monitor and view the captured information from online or through FlexiVIEW – our mobile viewer app. 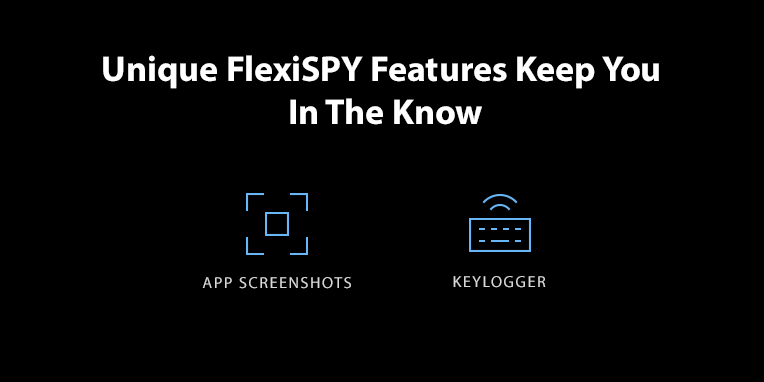 Users who experience inconsistencies with the information that is normally captured by FlexiSPY, will have fully backed up records of the target’s chats for supported applications like WhatsApp, WeChat, LINE, Facebook Messenger and more. Application Screenshot for Android will be released soon and every customer will be able to enjoy this exceptional alternative to our normal chat monitoring feature. Our keylogger feature is available to both PREMIUM and EXTREME users with rooted or unrooted Android devices, as well as jailbroken iPhones. This unique function captures every keystroke that is typed in supported applications – including text that is deleted. FlexiSPY captures the data and automatically uploads it into a secure log file in your user portal for convenient viewing access. Keep in mind that the keylogger tracks the keystrokes on the target phone. For chat applications, this means that you will only see the target’s side of the conversation. While we understand this may not be ideal, customers whose chat application is not capturing conversations due to the compatibility of the app version will benefit greatly from being able to monitor at least half of the conversation. Once the application version is compatible with FlexiSPY, the capturing of chats will resume as normal. Be sure to read our blog for more information regarding the Keylogger for Android and Keylogger for iPhone. What Do Chat Application Updates Mean? These updates mean that applications are being improved, bugs are being fixed and security is even stronger. However, it also means that software companies around the world – including FlexiSPY – are faced with a constant uphill battle to try and keep up with the changes. Let’s take WhatsApp for example. With over one billion users, this chat application is the most popular in the world. It prides itself on providing a secure and encrypted messaging and sharing platform, which also means it focuses a lot of energy and resources on updates. In September 2017 alone, WhatsApp released 18 new versions of its APK – that’s the equivalent of three updates every five days! So, while our team of skilled developers works tirelessly to ensure FlexiSPY is compatible with the latest versions of the most popular applications – as well as mobile device and computer operating systems – it is easy to see now why they are not always able to. What Chat Application Versions Does FlexiSPY Support? We have compiled a regularly updated list of all supported chat applications and their latest compatible versions. For more information regarding each specific app and how it works, be sure to check out our features list as well. For the latest information, product announcements and monthly discounts, be sure to subscribe to our newsletter. We also just launched our official YouTube channel with helpful video tutorials and how-to guides – subscribe today!